Winter is upon us and fall is the best time to prepare your garage for a stagnate season of cold temperatures and very little yardwork. Before the holidays hit us hard and travel time takes precedence over personal projects, there are several things you can do for getting your garage ready for fall and the upcoming winter seasons. Start your fall garage preparation by putting away big summer items that won’t be used as much such as bicycles, scooters, balls, and lawn games. With the cold weather coming, it’s important to make sure your garage door is reliable all winter long. 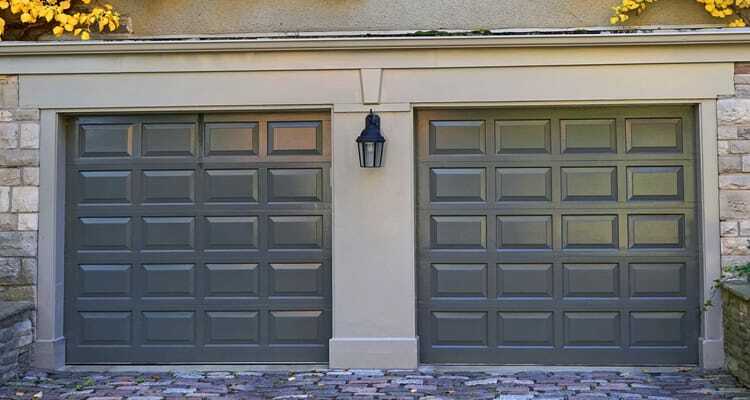 Give your garage door a maintenance check up to avoid any problems later. To make room for summer and winter storage, holiday decor, and to make the most of your garage space, an overhead storage system is an invaluable solution to your fall garage projects. Rotate your storage bins for easy access throughout the various seasons. Move summer items to the back and pull forward any fall or winter items. Push golf clubs to the back and move sleds to the front. Pull up any winter bins and holiday decor for easy access. If you have a lawn mower, take some time to winterize it for storage. After a tune-up, simply add some fuel stabilizer (that can be found at any hardware or outdoor appliance store) and some oil. This will ensure a problem-free startup in the spring. Insects and other small pests are attracted to moisture, so they avoid dry places. If the soil, foundation, and walls around your house are dry, it’ll be less attractive to insects, such as ants, spiders, and centipedes. Move any moisture-absorbing soil or mulch away from window frames and low wood trim on your home. Make sure to turn your mulch periodically (this helps keep dampness down), and keep bushes trimmed back away from the side of the home as well. Weatherization is important if you have a door to your home that is attached to your garage. Fall is the best time to install or replace any bad weather stripping to keep the heat in, and the cold air out. This will save you energy and money in the end, as well. When it comes to garage flooring, a secure floor can help prevent spills, damage, slips and falls, plus, the aesthetics of a nice garage floor aren’t bad, either. Use time in the fall to recover, clean, or re-do your garage floor before the winter weather comes around. Before the weather gets too cold, ensure that outdoor spigots, pipes, or water heaters that enter or that are in your garage are appropriately drained, blanketed, and winterized to prevent a pipe rupture. For maximum heat retention and energy efficiency, you may want to think about insulating your garage door and walls if you use your garage as a workshop or as storage all year long.